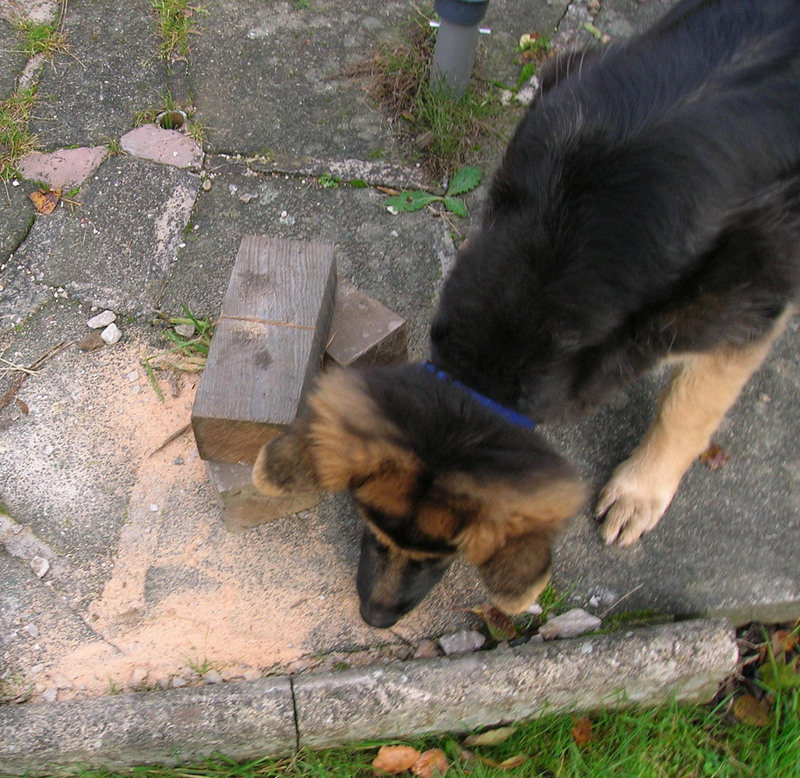 Most dogs at some time have dug holes, pulled plants up, chewed plant pots. 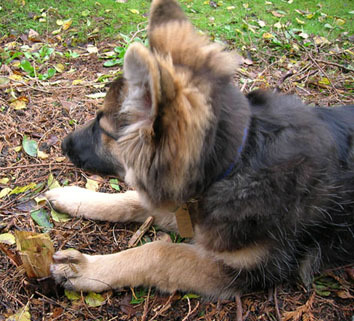 You must realise that a young playful puppy or young dog has no idea that certain plants must not be pulled and chewed. When he goes into the garden it is a wonderland of different sights, smells and sounds. 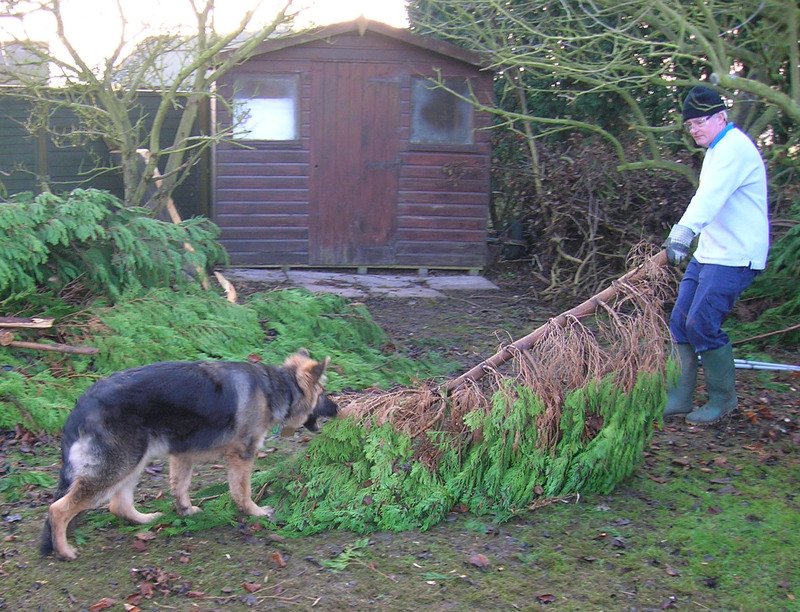 There is so much to do, try to dig a den! Chew objects to help my teeth come through, taste all the plants, play killing with some of them because they are soft like a small rodent, practice throwing them up in the air and catching them, shaking them just in case I catch the real thing. Hooo what fun! 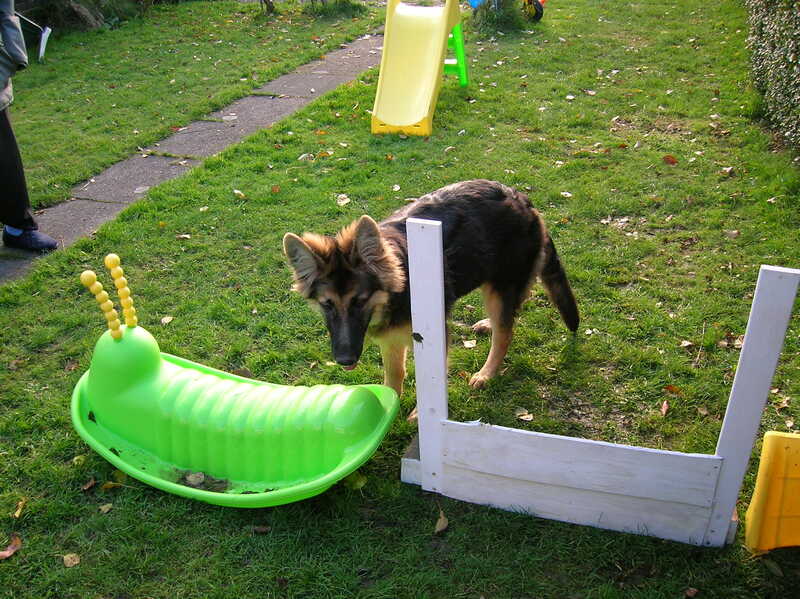 Your puppy or young dog doesn't know anything about the value of your garden and if left unattended he will PLAY. There are however, things that you can do to prevent alot of these problems beginning. Don't leave him alone for too long. Watch him and as soon as he starts to do something he shouldn’t, then tell him “No” and distract him with a toy. Make sure he has plenty of interesting toys. 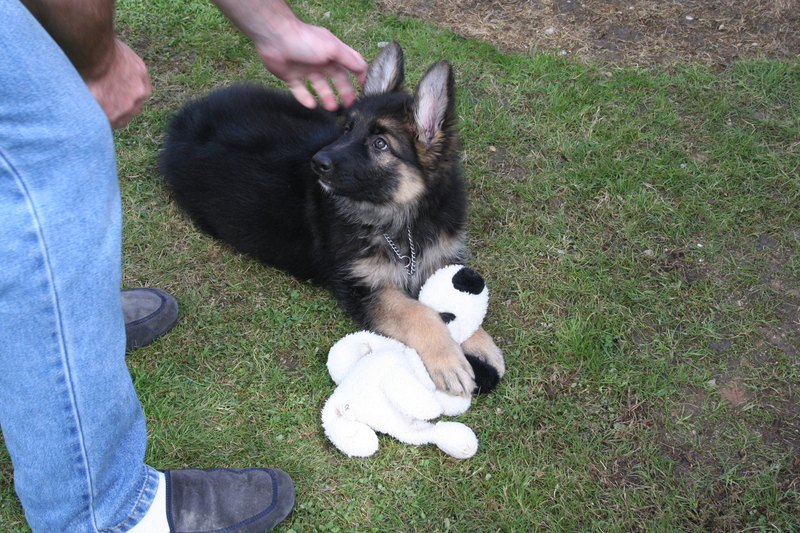 I say interesting because he could very quickly tire of some toys e.g. cloth tug toys are good because a puppy can throw them around. Don’t leave him outside on his own too long. A lonely puppy will get naughty and can start to learn to bark for attention. Here again, problems for the future. Leave the door open so that puppy can be with you if he wants. This helps with an anxious puppy who needs contact with you. They soon start to leave you for longer periods of time because he is not restricted. 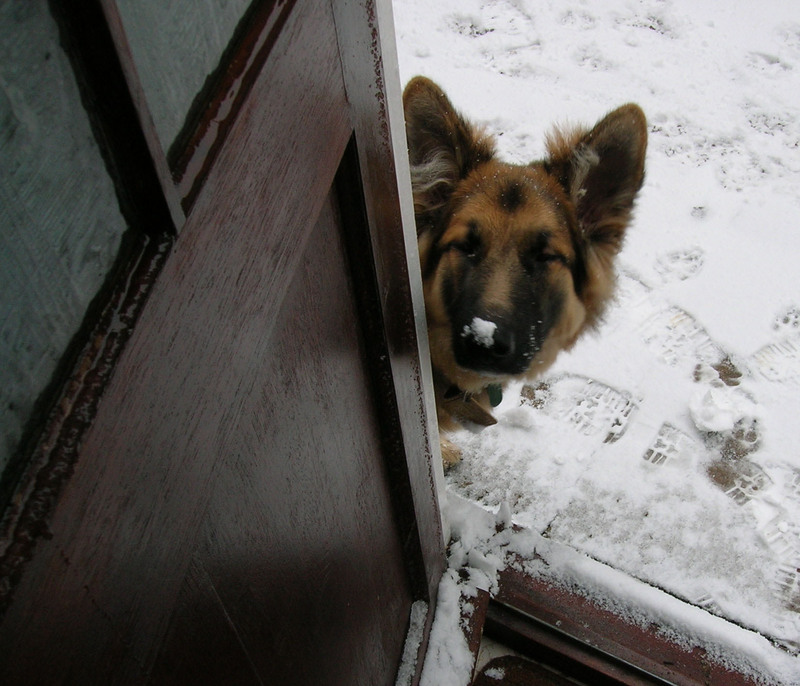 Some puppies when you close the door can fret, so therefore they do not enjoy being in the garden. 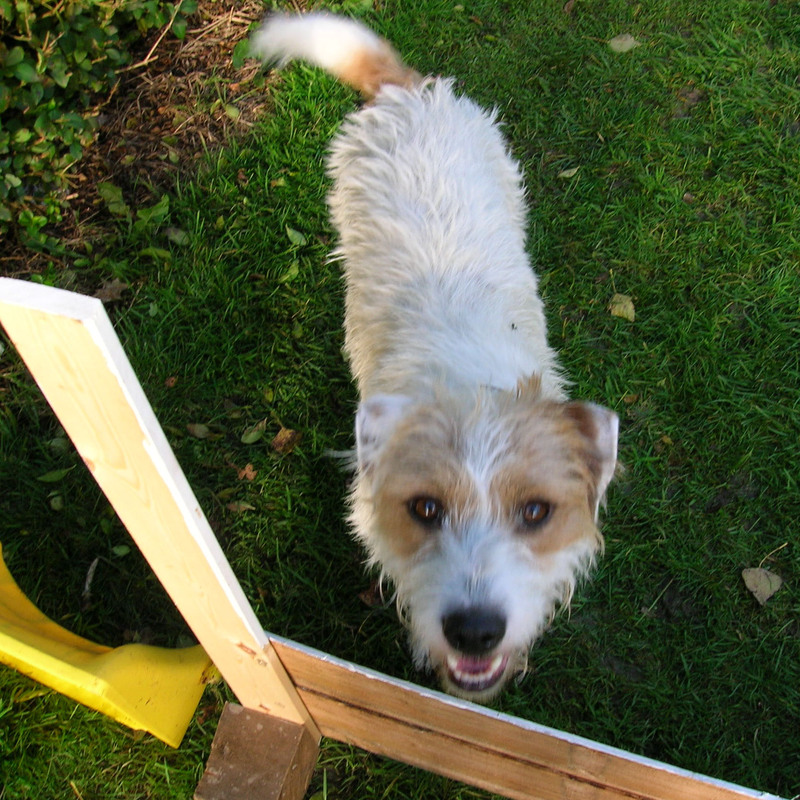 If there are parts of the garden that you do not want your puppy or dog to play on, then the simplest thing is to build a fence. 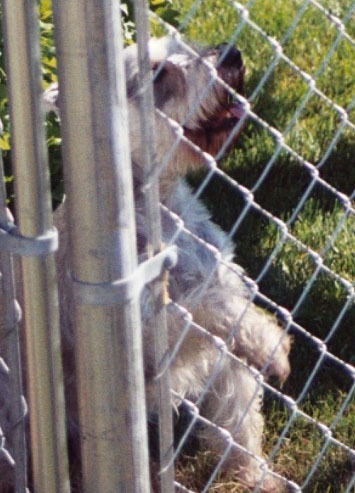 There are so many fancy types of fencing that will restrict puppy’s domain. A compound for your puppy is also something to consider. 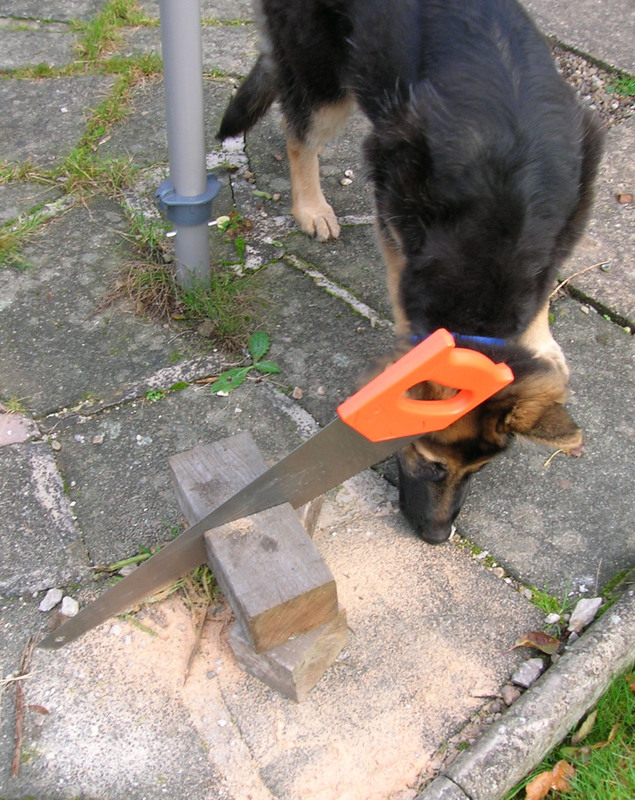 I know alot have dog owners who put their dogs into an outdoor compound after exercise with their toys while they get on with other things. 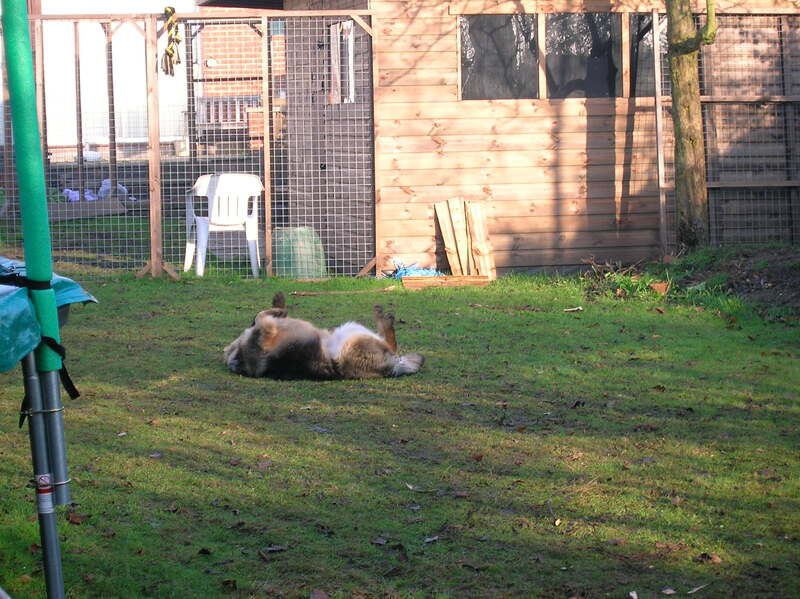 The compound is where the dog can relax and do as he pleases. It also restricts the fouling to one area. 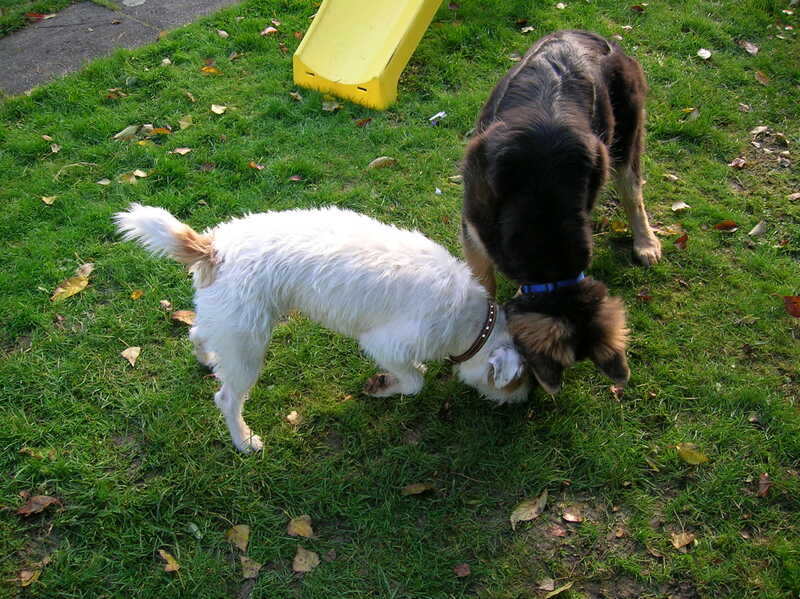 The compound must be large enough for your puppy or dog to play. A kennel inside is also a good idea for shelter - especially in winter. 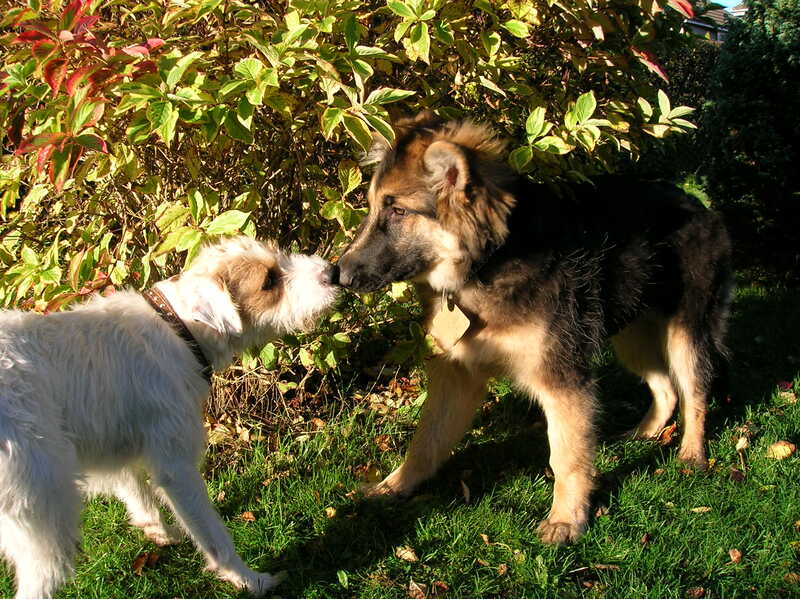 Use the compound for short periods of time, as puppies and dogs of any age can get very lonely and need companionship whether it be you or another dog. They are pack animals and must have companionship - it is vital to their well being. Keep your garden tidy. 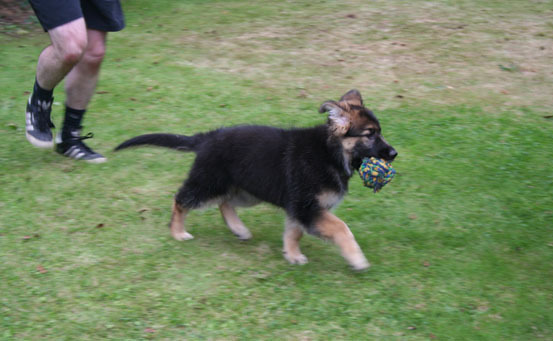 Move things out of puppy’s way, e.g. plant pots, watering cans, hosepipes etc. I can never understand people who have a dog who is either shut outside all day or kept in a compound at the bottom of the garden. Why have the dog? I would sooner the dog go to a family home or a home where he is going to be loved and cared for, instead of being left in a chronic state of loneliness and depression.